Microsoft placed a great deal of hope on Halo when it first broke into the console business, and now it’s attempting to leverage the reputation Halo built with a new entry on Windows RT, Windows 8 and Windows Phone 8 devices. 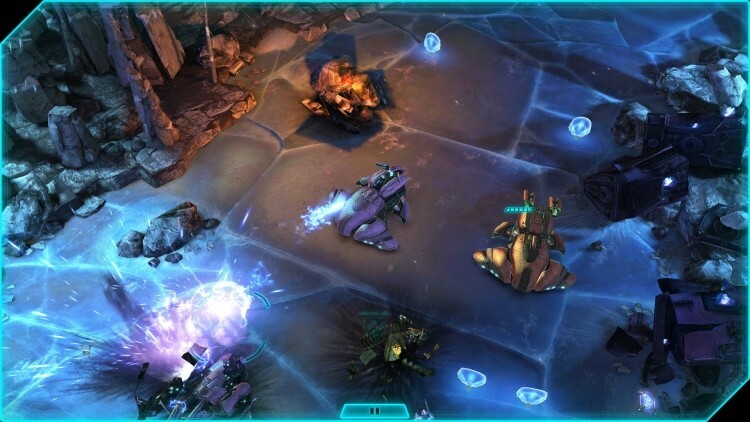 Halo: Spartan Assault represents Microsoft’s first effort to bring the Halo franchise to mobile devices, also marking the first original entry in the franchise not to be released on an Xbox console. When “Halo: Combat Evolved” was released for the Xbox on Nov. 15, 2001, it reshaped how first-person shooters were viewed on consoles. At the time, traditional logic dictated that mouse-and-keyboard input was the only effective control system for a first-person shooter. Instead of attempting to revolutionize shooters on touch-based devices, however, developer Vanguard has opted to bring Halo to the twin-stick, top-down shooter genre – well, somewhat. Because there aren’t actually dual analog sticks on a tablet or smartphone, “Spartan Assault” is a dual-thumb shooter: The right thumb controls shooting while the left thumb controls movement. Controller support is oddly lacking from the game’s initial release on PC, though Microsoft claims a patch scheduled for release in the coming weeks will add the feature. Instead, PC users are relegated to keyboard-and-mouse input, which doesn’t quite offer the same fun feeling as the touch input. Despite the slight modification in genre, “Spartan Assault” remains a typical Halo experience: The two playable characters – the game shifts perspectives from Commander Sarah Palmer and Spartan Davis – use rechargeable shields and loadouts consisting of two guns, an armor ability and grenades. One of the more head-scratching features of the game comes from the loadout menu, however: Alterations can only be made to loadouts by purchasing them through two different systems.